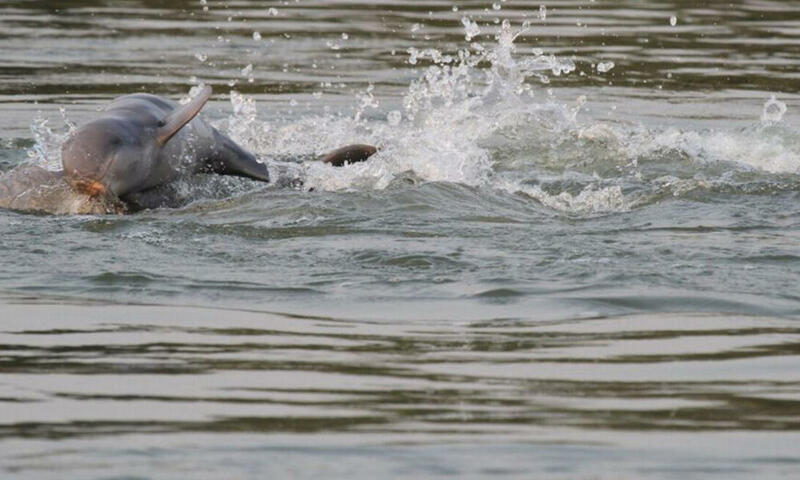 This historic population increase can be attributed to several factors, including more effective patrolling by river guards and an increase in the confiscation of illegal gillnets, which can trap and drown dolphins. Over the past two years, guards have confiscated more than 200 miles of illegal gillnets—almost double the length of the dolphins’ remaining home range—from core dolphin habitat. 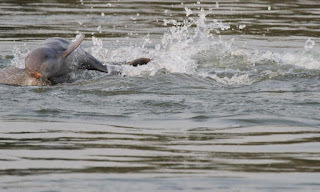 The first official census in 1997 estimated that there were 200 Irrawaddy dolphins in the Mekong, a figure that fell steadily due to bycatch and habitat loss. By 2015, only 80 dolphins remained. Now, growing numbers are an encouraging sign for the long-term survival of the species. More dolphins are surviving into adulthood, and there’s been a significant drop in overall deaths. Nine calves were born this year, raising the number of dolphins born in the past three years to 32. The census also has positive implications for the Greater Mekong region, where countless communities and species rely on healthy river systems and the natural resources they provide.